We've said it before...and we'll say it again; everyone should carry a pocket knife. You'd truly be surprised just how often they come in handy. And speaking of handy, there is no handier than the iconic Swiss Army Knife, the one made in Ibach Switzerland since 1884. 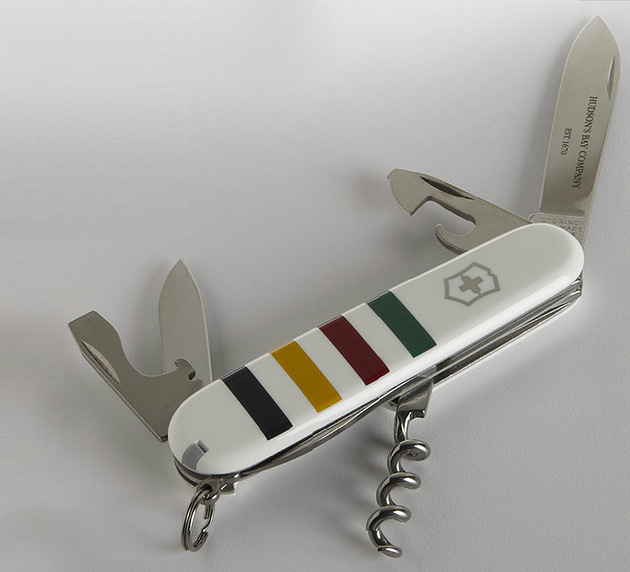 We are huge fans of the iconic HBC 4 colour stripe wool blanket, something that holds a special place in the hearts of all Canadians, and now we can carry that with us in the form of the ultra-useful pocket knife. Pardon the pun...but it looks sharp in white. You can get yours here.